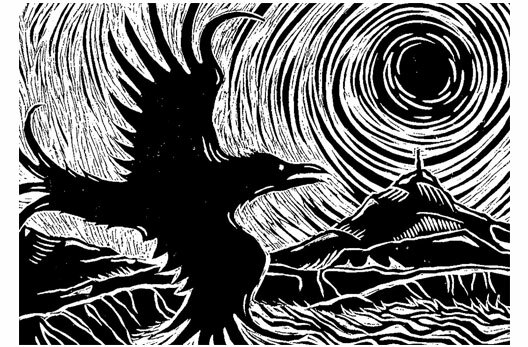 Angela is a print artist based in Pendeen in West Cornwall. 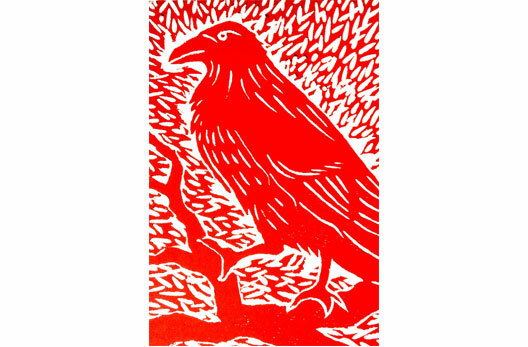 Her Ravenstongue Studio specialises in handprinted woodcuts and screenprints. 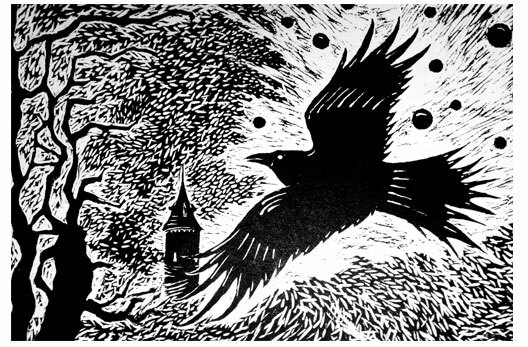 Her work depicts the wilder, darker side of Cornish nature. Each print is paired with a fragment of poetry that brings out the essence of the image. The scenes have a touch of old fashioned fairytales about them, reflecting the opposing curves and angles of the natural and industrial landscapes and wild seascapes of the south west. 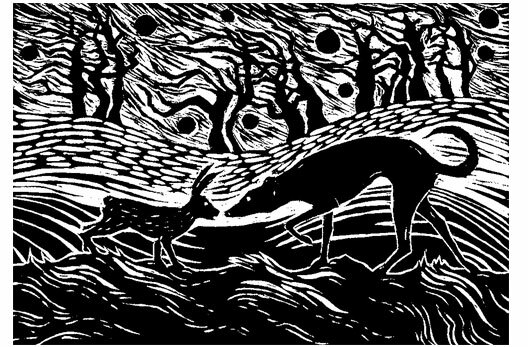 Animals run free in their natural environment and the prints embody the strength of the southwesterly winds that shape the character of the land and sea. More stylised prints use shape and pattern to interpret both natural and manmade forms with a structural grace and balance. Her work develops organically as she works on each piece. Designs are sketched roughly on the wood or plate, and then are developed organically, achieving a sense of energy and movement through freedom of movement as she carves. She uses natural wood, Japanese ply and hardboard as her base material, with finely honed Japanese woodcarving chisels and gouges. 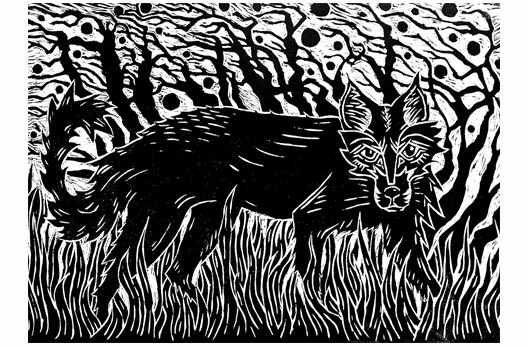 Angela prints with both water-based etching inks and oil-based litho inks, and favours sugar paper and unbleached papers that add their own character to the prints. Each print is unique, with its own idiosyncrasies of ink density and patination. The woodcuts and etchings are printed on a unique A1 press designed and made by an engineer in Perranporth.